Internationalizing higher education is a process that seeks to find synergies among a variety of activities and campus units in order to further an institution’s international mission. For some campuses, this has resulted in designating an individual, the Senior International Officer, to lead or facilitate internationalization. Other institutions are appointing internationalization councils for this purpose, or asking individuals not yet given an SIO title (assistant or associate provost/dean/director) to take on greater responsibility to help move the institution toward more comprehensive internationalization. The higher education landscape is diverse, as are the pathways and current roles of the individuals leading campus internationalization. 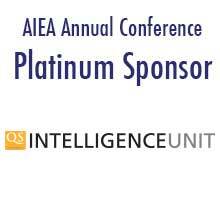 As the only association dedicated to serving SIOs, AIEA is pleased to announce a series on SIO Perspectives to shed light on SIO roles and responsibilities, the unique challenges and opportunities of the institutions they lead, SIOs’ thoughts on priorities for internationalization, and their advice for aspiring SIOs. AIEA welcomes contributions for the series, either from SIOs directly or based on an interview of an SIO. The template below should serve as a guide for all submissions. The address for questions and submissions is [email protected]. All submissions will be reviewed by the AIEA Editorial Committee. Note: Word counts below are suggested. SIOs are invited to respond to all nine questions and no fewer than seven. The suggested word length for each response is 150-200 words. What are the main characteristics and purposes of internationalization at your institution? What strategies are you using to promote internationalization at your institution? What have the challenges been in resourcing them and how have you been able to overcome them? What do you regard as the most innovative feature or project of internationalization at your institution? Why? What are students looking for from internationalization? What are faculty members’ interests in this regard? How does your university evaluate faculty members’ contributions to internationalization? Is it a consideration in tenure and promotion? How is your institution innovating in international education to prepare students for their futures? How much value does your institution place on developing institutional collaborations and why? What criteria do you use to pursue them? What do you see as priorities for internationalization in the next few years, both for your institution/institutional type and higher education in general? What advice would you give to aspiring SIOs in terms of knowledge, skills, and experience?